Click HERE for a flash video demo. 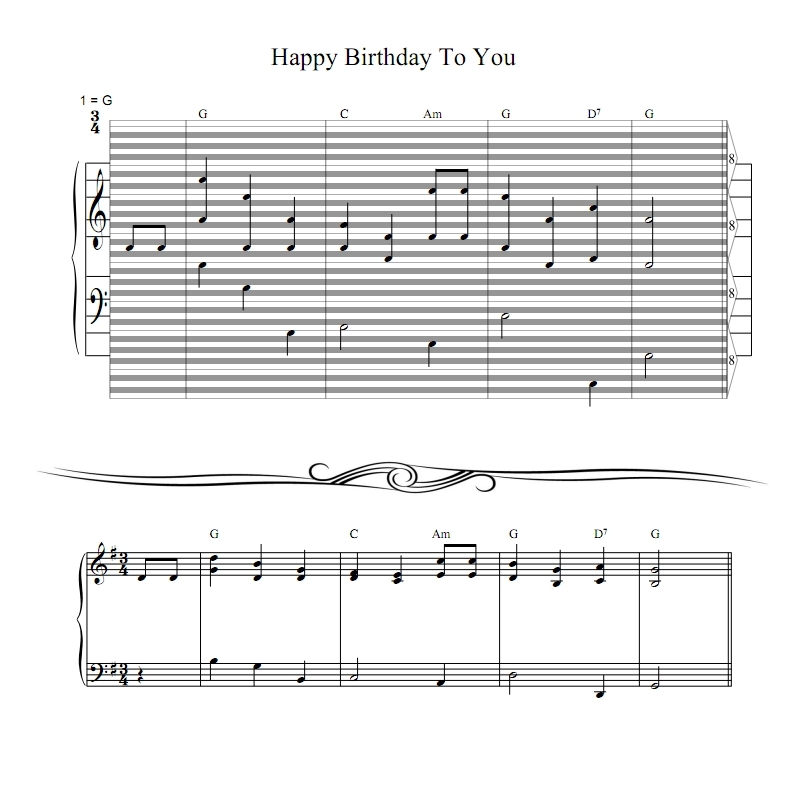 The Hao Staff (Piano Roll) Sheet Music can help people, especially adults, enjoy playing the piano immediately. It also serves as a tool to introduce the concept of the Grand Staff to fresh starters. If you have more questions, please go to Hao Staff FAQ, or Contact Us. 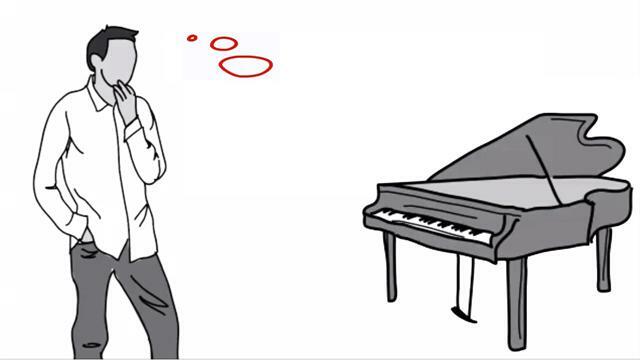 You might be interested in the following article Hao Staff and Grand Staff - A Key Development in Adult Piano Self-learning and Teaching. 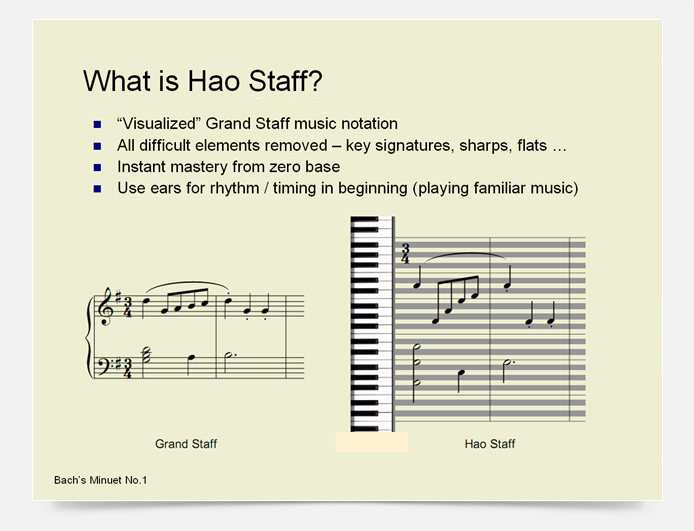 Hao Staff (Piano Roll) Sheet Music are transcribed from the original Grand Staff scores to faithfully convey the original work of the composers, arrangers, or publishers. All details and marks of the original scores are preserved with utmost endeavor and care.